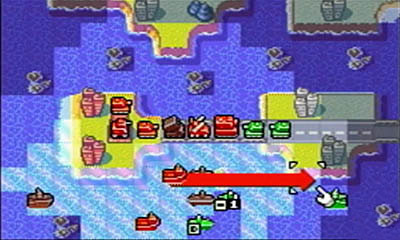 Advance Wars not only launched a highly successful franchise, it “mainstreamed” turn-based strategy. It’s a strategy game that breaks out of conventional strategy game demographics. How? 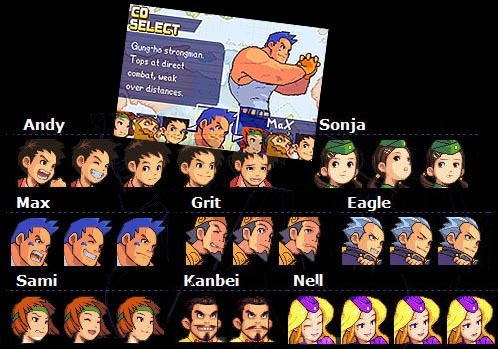 Advance Wars removes the RPG in SRPG. It’s straight turn-based strategy. While RPG (role-playing) elements add depth, many mainstream gamers are not looking for that kind of minutiae. 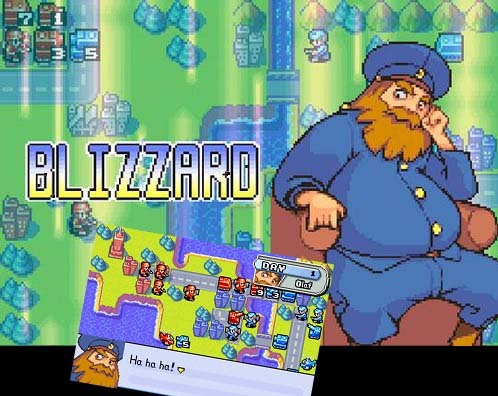 Advance Wars sports a lighter tone more palatable to a vast younger audience. Veteran strategy gamers will still appreciate the gameplay and story, but need to look elsewhere for dark story lines and grit. Advance Wars shrinks the learning curve. It limits the number of unit types. Units are packaged into a handful of general categories that share basic characteristics (tanks, air units, troops, etc.) The system is easily grasped. Never has warfare been so light and cheery! Advance Was instigated buzz among average American gamers for a strategy title that wasn’t Final Fantasy Tactics. Developer Intelligent Systems delivered a streamlined, no-fat, well executed turn-based strategy game on a budget no less. It’s not surprising considering their pedigree. They’re behind the prolific, venerable and much loved SRPG franchise Fire Emblem. 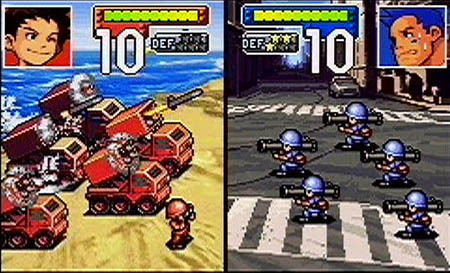 In Advance Wars, units are built at factories. Cash to do so is earned by occupying buildings. Of course the enemy wants the buildings for the same reason. The obstacle laden maps are 2D, as you might expect on GBA. However the quality gameplay is unhindered by that limitation. 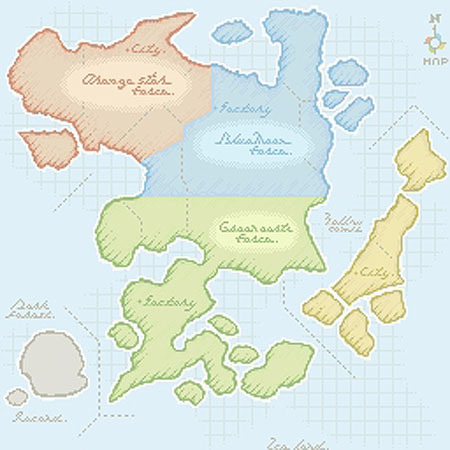 Terrain types include ground areas with varying properties (mountains, forest, etc.) and sea. Air units can fly where they wish. Wars cost money; even advanced wars. Various commanders take your orders along the way, each with different strengths. One has strong tanks and weak air. Another hits extra hard with ranged units. One specializes in slightly better troops, etc. This adds replay value and variety to the challenges. Know Your Limitations: To encourage another layer of tactical thinking, most units consume limited amounts of ammo and/or fuel during operations. They must return to an occupied building or be serviced by a special vehicle to continue. Art direction on the vehicles is retro-cool and inspired. It seems Axis inspired German and Japanese looks stopped “advancing” around 1945. We enjoy the retro-riveted look. Never has death from above been so pretty. The tutorial and campaigns ramp well. Before long you’ll be comfortable planning army-wide maneuvers instead of wrestling with powers and complicated abilities. The difficulty grows challenging, but not overwhelmingly so. It’s an accomplishment. You Have Control… to shorten animations and speed up gameplay if desired. However the animations are fun and we left them on for a number of battles. Unit balance is executed well in both cost and strength. 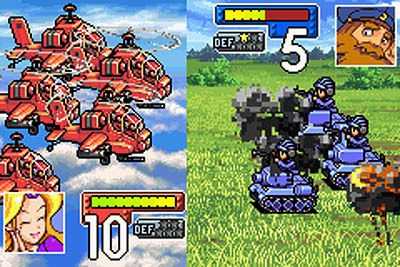 Like Fire Emblem‘s hierarchy of weapons which causes some types to excel over others, Advance Wars makes sure even the toughest units are vulnerable to some counter type. 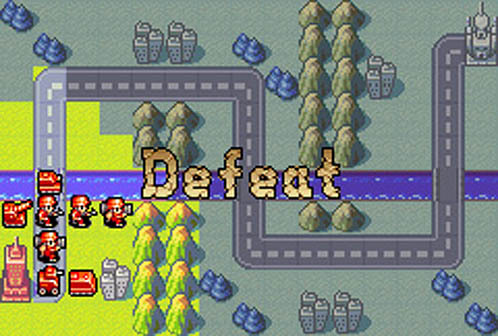 Advance Wars’ strategy dynamic is flexible enough to allow victory through various tactics. Whether you like to march troops into hard battles of attrition, or refuse to lose a unit if possible (like us), either style can win. Play it your way. The extra challenge maps are great fun. They’re numerous and diverse. Playing against the AI on them takes far more time than beating the campaign. Additionally, playing the same map using different commanders changes the challenge. Isn’t that last one a character in Super Mario Bros. 2? The story and characters are cute and reasonably interesting. However cuteness contrasts poorly with the seriousness of whole regiments getting wiped out in battle. The limited number of unit types make for easy adoption, but they also reduce strategic variety. The commander’s intro themes are good. Short, but good. Longer versions would help, and blunt the negative point in “BAD” regarding the overall soundtrack. One man makes a courageous stand against incredible odds… and loses. The enemy AI sometimes opts for suicide missions. For strategic purposes? No. To destroy a unit withdrawn from the front lines. It’s a little sad to lose a unit nearly saved. It’s impractical for the enemy to sacrifice perfectly healthy units by plunging them into my line of fire to shoot one beat-up tank. While it adds the unexpected, it also adds frustration and bemusement. The character art is too limited. You really just end up looking at one or two pictures of each commander. It’s a shame and one of the places where lack of budget (or time) comes to the fore. The story is weak. We know most SRPGs have more time and reason to explore characterization, but even Advance Wars’ characters need to show a little growth. They need more drama. Additionally, the campaign is short. Tin Ear: In this genre a lot of time is spent in a single battle environment. The music isn’t varied enough to keep from becoming a little bothersome over the long haul. The GBA platform doesn’t make it impossible to compose quality tracks. Listen to Final Fantasy Tactics Advance. Intelligent Systems themselves already accomplished a great soundtrack for Fire Emblem on the GBA. Fog of War: Not being able to see enemy units unless very close is challenging. Having units ambushed by suddenly appearing attackers is one thing, being shot by a distant, shrouded ranged unit is frustrating. While the challenge is welcome in small doses, fog of war likely sounded more fun on paper than how it actually plays out. Fog of war is for commanders that care little for their troops and never get near the front lines. The commanders’ special powers take away from the purity of the strategy. While they add “variety” to the game, they also come with a measure of annoyance and balance issues. Some of the commanders’ special abilities are lame and of little use. Others are too powerful and recharged too fast. Grit’s really throws a wrench into well-thought plans. When every unit can suddenly shoot a couple grid squares farther, you can imagine the havoc. Certain conventions must be adhered to, and this ability breaks them too greatly. Tone it down. This special ability goes in the “more annoying than helpful” category. More of a rule breaker was Eagle’s ability to move twice in a row. If grids spaces are sacred, messing with turns is practically storming Mount Olympus. The game is poorer when it becomes about managing overpowered specials and not the great map-created strategy challenges. Using specials may make you feel cheap if you’re more of a purist, and a little frustrated when the enemy uses them on you. Commander abilities CAN be done right without damaging the careful balance. For example your first commander has a rapid repair special which is practical, balanced, and welcome. 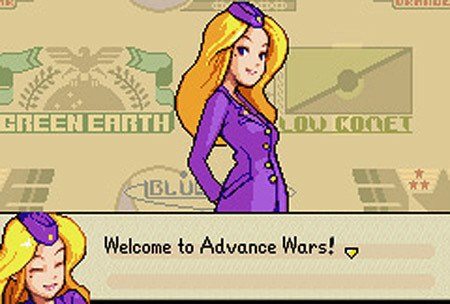 We enjoyed Advance Wars on a big screen; played using the Gameboy/Gamecube player. If not for that, we may have had an issue with the size of the tiny on-screen units. However the smaller scale allowed for more map to be visible at once; tactically helpful and scroll saving . Yes, a little on the microscopic side, but at least well art directed. 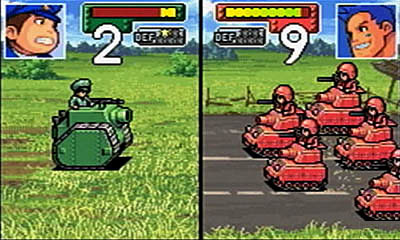 We didn’t ding Advance Wars over battles perhaps lengthy for hand held systems. Many (but certainly not all) came in just under “too long.” Some were extended because of my strategy. One became an epic World War. It ran 98 turns. 98! The enemy just kept throwing itself at my units with suicidal fervor. It was a night of carnage. Freaking Gettysburg! 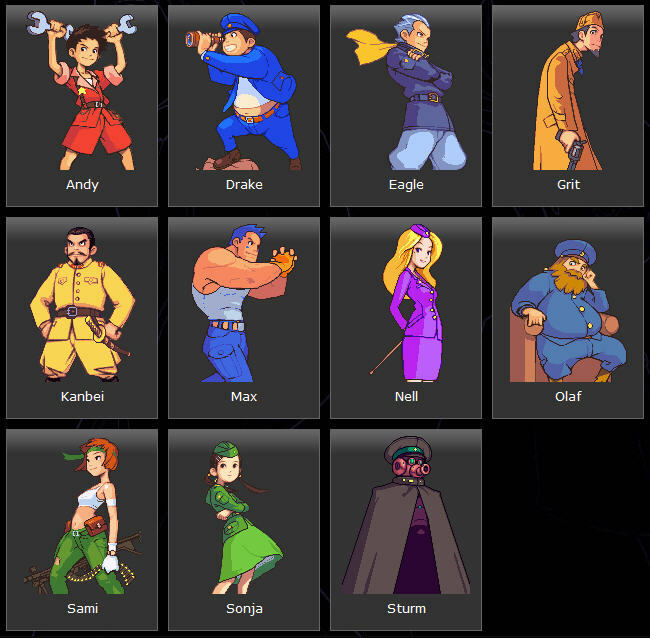 Advance Wars is a fun game with addictive qualities. 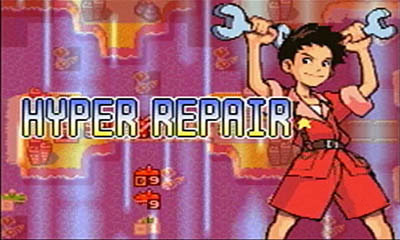 Even after the many hours played, when all the extra maps were exhausted, we knew this wasn’t the end for Advance Wars. Someday we would play the sequel. Some games leave one so drained that you’ll want to avoid the franchise forever. This game isn’t like that. It adds fun for time spent. Updated 09/2016: Refined and polished text (in progress).